Oxford Analytics releases a report on the sidelines of "The Government Summit". Oxford Analytica, the leading global analysis and advisory firm released a report on the concept of connected governments. The firm is partner to "The Government Summit" that is held in Dubai between the 9th and 11th of February. The summit is attended by 3800 participants including government leaders and experts from UAE and 93 countries. More than 100 key speakers take part in interactive sessions attended by ministers, experts and government officials. Key speakers include Executive Chairman of the World Economic Forum, representatives from major companies like Samsung electronics and many influential government and economic figures. The summit is held under the patronage of His Highness Sheikh Mohammed bin Rashid Al Maktoum, Dubai Governor. He aims to make the summit the most significant international platform for developing governmental work and achieving the goals of Emirates 2012. Heading the Egyptian delegation is Prime Minister Ibrahim Mehleb who stressed that UAE is a unique international model in the field of government services; which is confirmed by the results of several indicators and reports issued by international organizations. Under the title "Shaping Future Governments" the summit focuses in its third round on innovation as basis for development. The report supports that idea and focuses on future challenges and the most significant characteristics of current governments' performance. The 'Connected Government' concept focuses on establishing the importance of the end users in governmental business. 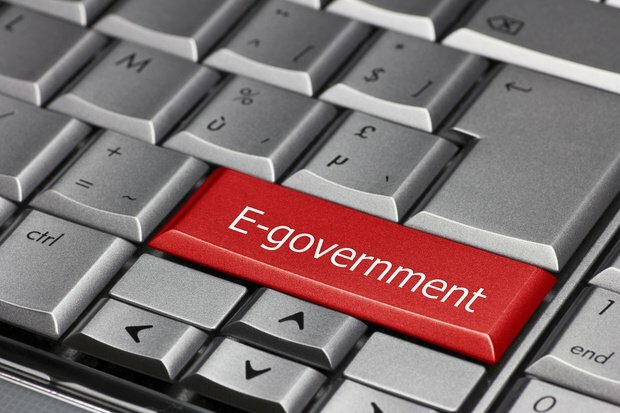 A crucial step towards this type of government is developing electronic governments. Many governments discovered their ability to expand and deepen their relationship with citizens, private sector and strategic foreign partners due to the increasing use of internet. The concept of electronic governments has gone through 4 stages. First, the information stage in which information is shared on international and local administrative level . Second is the electronic interaction stage between governments and strategic partners. Then comes the transactions stage where services can be done remotely and comprehensively. For example ordering a passport, renewing residence permits and voting. The fourth and final stage is transformation which involves merging services between the government and its partners and offering them fully through electronic means. This stage involves substantial improvements in shaping public policies as well structuring governments and the way they work. The report used Finland as a model for successful electronic government strategies as 80% of the population uses electronic services to interact with the government. The report also tackled the concept of digital divide that threatens the future of government performance. It offered three main factors to solve this problem which are: the technology and understanding how to use it, encouraging participation through supporting the concept of active citizenship and finally offering services in the right way through the right channels.